This post has been sponsored, but all opinions are mine. I’m finally getting around to posting a healthy recipe this year! 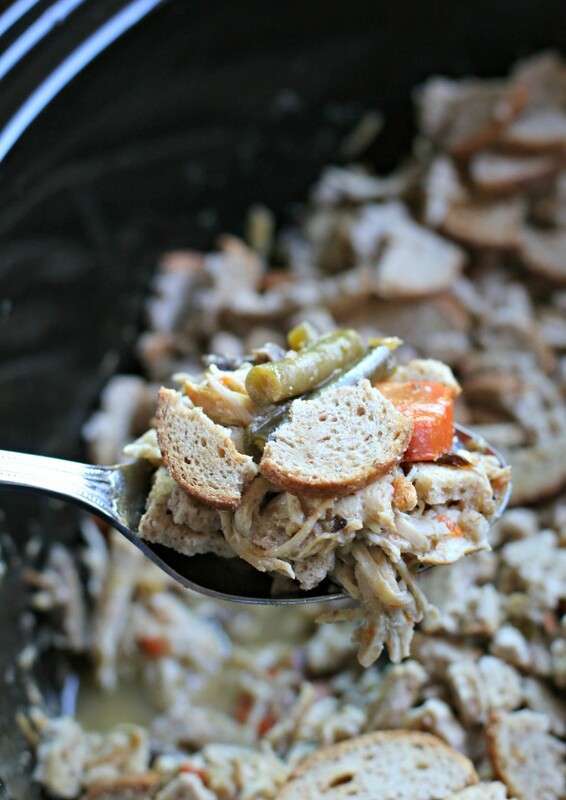 This Slow Cooker Healthy Creamy Chicken Casserole is sure to please! 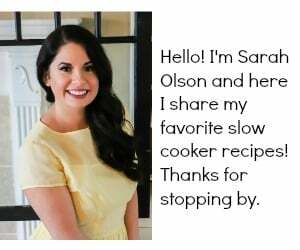 I created a healthy slow cooker dinner with the famous Melba Toasts. I made a veggie packed creamy chicken casserole, and topped it with crushed Melba Snacks. The Melba Snacks soak up a bit of the creamy sauce and taste like stuffing. You get a complete and healthy satisfying meal in one pot! 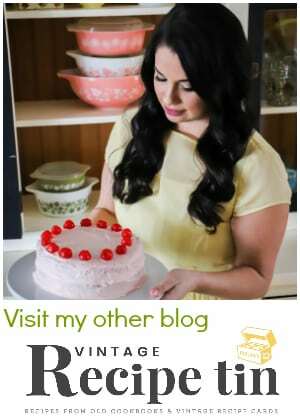 Also, Old London (Melba Toasts) has an AWESOME trip they are giving away, the trip is to Los Angeles, California to meet Hungry Girl – Lisa Lillien. 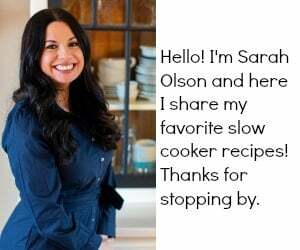 I have been a huge fan for years, I have every one of her cookbooks. I hope one of my readers wins the trip! Head over to Old London’s Facebook page to enter. You can find the rules for the contest here. 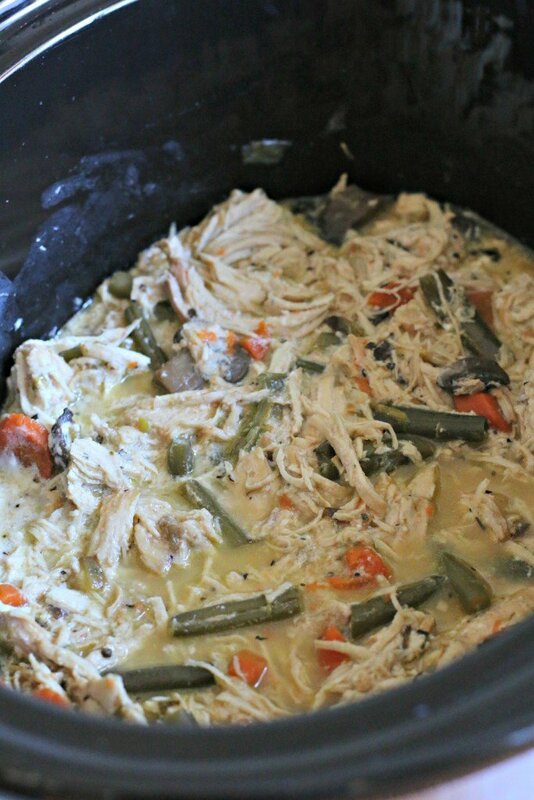 A healthy slow cooked creamy chicken casserole that is packed with veggies and topped with Melba Snacks. The Melba Snacks soak up a bit of the creaminess from the sauce, which makes this dish taste like it is topped with stuffing. 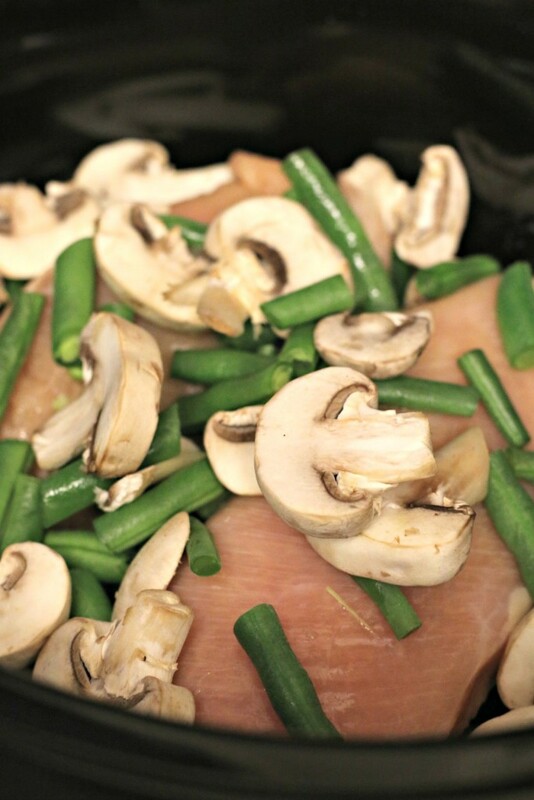 Add the chicken breasts to a 6-quart slow cooker, sprinkle over the green beans and mushrooms. Set aside. On the stove-top, set a non-stick pan to medium-high heat. Add the olive oil to the hot pan, when the oil is hot add the carrots, leeks, garlic, basil, salt and pepper. Stirring constantly, let this mixture cook for about 3 minutes. Stir the flour into the carrot/leek mixtures for about 30 seconds. 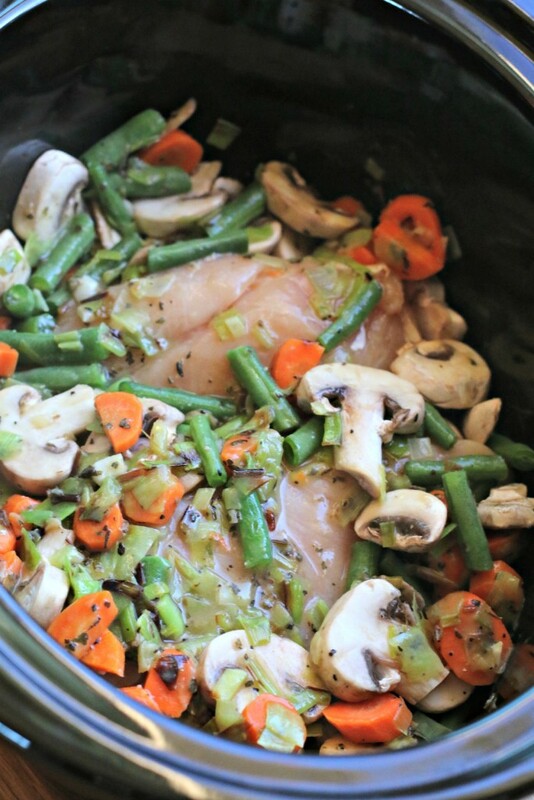 Add the chicken broth to the pan and stir until it thickens, add this mixture to the slow cooker on top of the chicken, mushrooms and green beans. Cover and cook on LOW for 5 hours, without opening the lid during the cooking time. After the cooking time is done, shred the chicken with 2 forks. Stir in the Greek Yogurt. Remove the bag of Melba Snack Toasts from the box. Open one end of the Melba Snacks bag, using a rolling pin crush the Melba Snacks into smaller pieces. Sprinkle the crushed Melba Snacks over the chicken Casserole. Serve and enjoy! See this recipe at Old London here. Don’t forget to enter the giveaway at Old London’s Facebook Page. I hope you win! You can find the rules to the contest here. I have received products/payment for this post, but all opinions are mine. looks delicious. I love my slow cooker – I never thought of using melba toasts as croutons -i have loads in my cupboard and soup to eat! This sounds fantastic!! I love that you added mushrooms and that it’s healthier! Great recipe! What a great use for melba toasts! Bet the crunch adds the perfect texture to this delicious casserole! This looks so good! Perfect for a winter day!!! You always have the best recipes, this looks delightful! This looks like pure comfort food in a slow cooker. I love Melba Toasts. What a great healthy idea to sprinkle those over the top! Awesome! I’ve never thought about using Melba toasts like this! Looks so warm and comforting too! 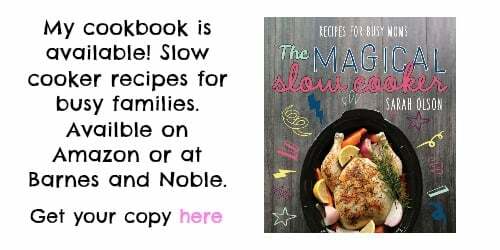 we love healthy slow cooker meals at our house! You HAD me at Creamy Chicken! I love the addition of the melba toast – I’m sure that adds a nice crunch! You do come up with some awesome recipes! So creative! I love how you used the Melba crackers. This would be a great dinner for my family!